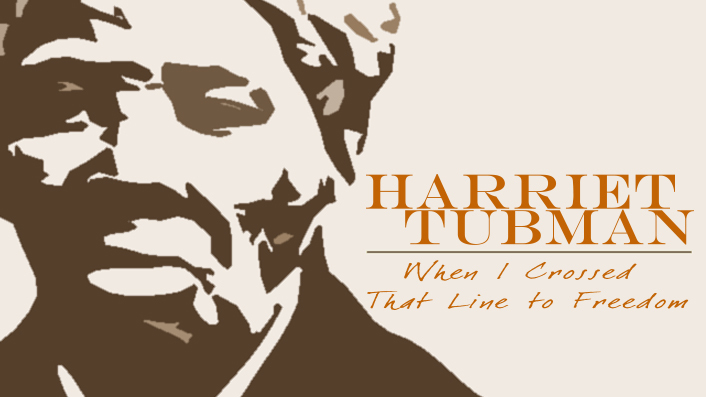 New York, NY– AOP (American Opera Projects), and the Schomburg Center for Research in Black Culture will co-present an evening of scenes from Nkeiru Okoye’s folk opera Harriet Tubman: When I Crossed That Line to Freedom that tells of how a young girl born in slavery, becomes Harriet Tubman, the legendary Underground Railroad conductor. The musical excerpts will be followed by an artist Q&A moderated by WQXR’s Terrance McKnight. The concert will be presented on Monday, December 9, 2013 at 6:30 PM at the Langston Hughes Auditorium: 515 Malcolm X Boulevard, New York, NY 10037-1801. General admission will be $10 ($8 for Schomburg Society Members) and available by calling (212) 491-2206 or visiting www.showclix.com/event/HarrietTubman. Nkeiru Okoye is an established voice in new music. Her works have been performed by the Philadelphia Orchestra, Detroit Symphony, Virginia Symphony, Indianapolis Symphony, Grand Rapids Symphony, New Jersey Symphony and countless regional orchestras. She has garnered numerous awards, commissions and commendations from MEET THE COMPOSER, the Virginia Symphony, MetLife Creative Connections, John Duffy Composer Institute, Composer’s Collaborative, Inc., the Walt Whitman Project, Yvar Mikhashov Trust for New Music and the American Society of Composers, Authors and Publishers (ASCAP). After penning her first composition at age 13 and winning first prize at a national competition, she decided to pursue training as a composer. Okoye’s best known works include Brooklyn Cinderella (2011, commissioned by American Opera Projects), Songs of Harriet Tubman (2007, on the CD Heart on a Wall), Phillis Wheatley (2005 recorded by the Moscow Symphony), Voices Shouting Out (2002, commissioned by the Virginia Symphony); African Sketches (2007-08, published in the Oxford University Press Anthology of Piano Music of the African Diaspora); and The Genesis. As a frequent guest lecturer and panelist, Okoye was a composer mentor at the University of Ghana for the 2005 International Society of Contemporary Music’s World New Music Days. In 2006, she was the winner of a British American Project Fellowship. A native New Yorker of African American and Nigerian descent, Okoye was honored at Nigeria’s 40under40 ceremony in Lagos. Dr. Okoye is a multi-talented polymath who designed the acclaimed “Canbie Collection”, a series of multicultural, soft sculpture dolls, found in the Smithsonian and museums nationwide. 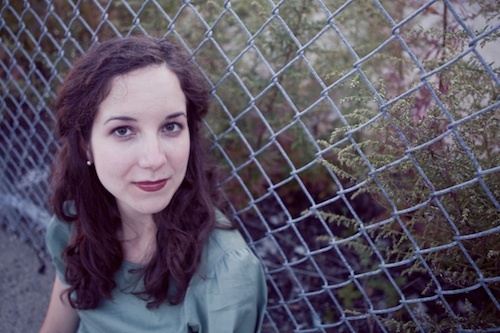 She holds degrees from the Oberlin Conservatory of Music and Rutgers University and currently serves on the composition faculty at the State University of New York at New Paltz. Sumayya Ali has been recognized for her remarkable artistic integrity and versatility. Blessed with a “heart wrenchingly tender yet powerful soprano,” her intentions are to use her voice to heal, speak truth and enlighten. Sumayya has illuminated stages on Broadway, as well as concert halls and opera houses throughout the world. In addition to her theatrical work, she has started to break into film. Ms. Ali made her film debut in Red Hook Summer directed by Spike Lee this past summer. 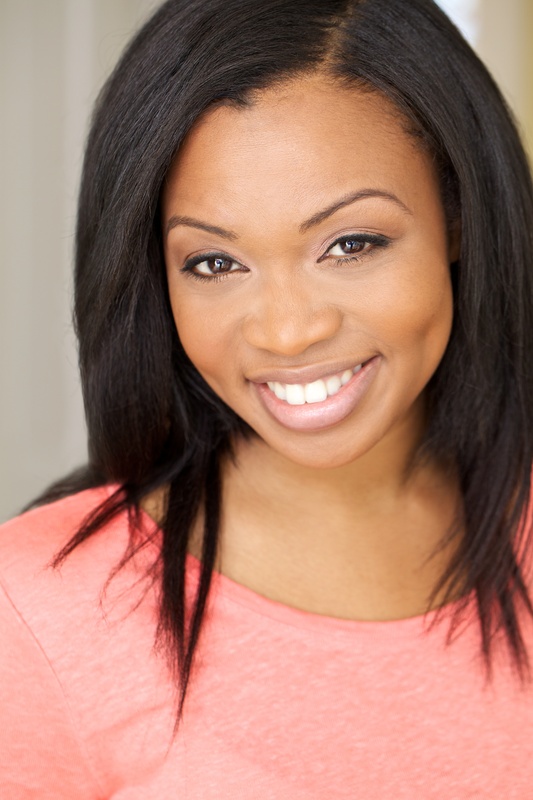 Most recently, Sumayya Ali was in the Tony award winning Broadway revival of Porgy and Bess; understudying the title character as well as Clara and Serena. Last month she was featured in The Ragtime Concert at Lincoln Center’s Avery Fisher Hall. In addition to these performances, Ms. Ali stays focused as an avid songwriter, guest artist, recitalist and mentor. Born in Lawrence, KS and partly raised in the Washington, DC area, Sumayya’s artistic gifts were largely cultivated at the Duke Ellington School of Arts. 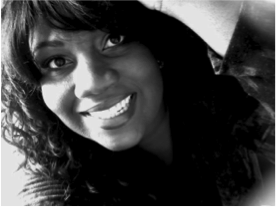 Sumayya Ali holds a bachelor’s degree from Spelman College in Atlanta, GA as well as a master’s degree in music from the New England Conservatory in Boston, MA. Immediately after graduation, Ms. Ali secured contracts with Berkshire Opera, Sarasota Opera and Central City Opera and was declared a Boston district winner for the National Metropolitan Opera Competition. She has danced and sung around the world with Step Afrika!, been featured as a Hollywood contestant on American Idol season 6, made her Broadway debut as the soprano soloist in the 2009 revival of Ragtime! and received several artistic grants and awards from opera companies. However, her greatest accomplishment is being mother to her most precious gem, Hasiba Zahara. Nicole Mitchell (contralto) is a proud native of Brooklyn, New York. She has performed regularly with American Opera Projects and The Walt Whitman Project extensively promoting the works of New York composers. Most notably was the song cycle Songs from the F Train composed by Gilda Lyons and joint-commissioned by American Opera Projects and The Walt Whitman Project. These songs were performed at Carnegie Hall’s Zankel Hall. This past summer Nicole performed in the New York premiere of Lera Auerbach’s opera The Blind in an AOP & Lincoln Center Summer Festival production. Ms. Mitchell has performed at Avery Fisher Hall and with New York City Opera and Sarasota Opera where she sang the role of Tituba in Robert Ward’s Pulitzer Prize-Winning opera The Crucible, later reprising the role with Piedmont Opera (2012) at the request of the composer. As a Tanglewood Vocal Fellow (2008) she sang for Maestro James Levine and performed as one of the Six Ladies while covering the role of Leocadja Begbick in Kurt Weill’s The Rise and Fall of the City of Mahagonny. In February 2013, Nicole gave a recital at Brooklyn Navy Yard Center’s BLDG 92 Museum. She was officially the second operatic voice heard at the Navy Yard since Eugenia Farrar’s 1907 radio broadcast. Next year Nicole will appear in David Lang’s work The Difficulty of Crossing a Field (Beth Morrison Projects 2014). In addition to contemporary compositions, Ms. Mitchell’s concert work as alto soloist includes Verdi’s Requiem, Brahms’ Alto Rhapsody, Beethoven’s Ninth Symphony & Choral Fantasy, Handel’s Messiah, Rossini’s Stabat Mater and Mozart’s Requiem to be performed with at The Colour of Music Festival in Charleston, SC. 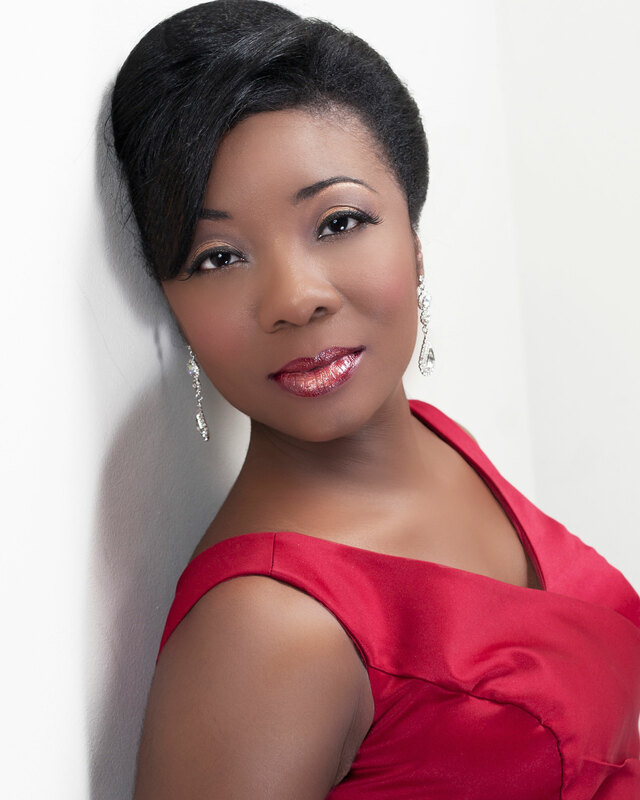 Sequina DuBose has most recently performed as a soloist in the U.S. National Tour of famed trumpeter Wynton Marsalis’ work entitled The Abyssinian Mass with Jazz at Lincoln Center Orchestra and Chorale Le Chateau under the direction of Damien Sneed. She has also performed under the baton of Mr. Sneed during her American Opera Projects debut as Rachel in the folk opera Harriet Tubman: When I Crossed That Line to Freedom (Nkeiru Okoye). She has performed as Clara in Gershwin’s Porgy and Bess (PAB Theater National U.S. Tour), and covered the role of Annie in Porgy and Bess (Lyric Opera of Chicago); a role she will reprise in her upcoming Royal Danish Theater debut (Copenhagen 2014). Additional opera roles include: Clorinda in La Cenerentola (Rossini)- Opera Memphis; Musetta in La Boheme (Puccini)- DiCapo Opera (NY); and Victoria in the world premiere of The Mask in the Mirror (Richard Thompson)- Trilogy: An Opera Company (NJ). Musical Theater and Theater credits include: Chloe in the 2012 New York Musical Theater Festival premiere of 7:32- The Musical; Showboat, The Most Happy Fella, and West Side Story with Utah Festival Opera and Musical Theater Company’ Cleopatra in Shakespeare’s Antony and Cleopatra (Off-Broadway debut); Lady in Blue in For Colored Girls…(ArtsCentric), and Rose in August Wilson’s Fences in New York City. 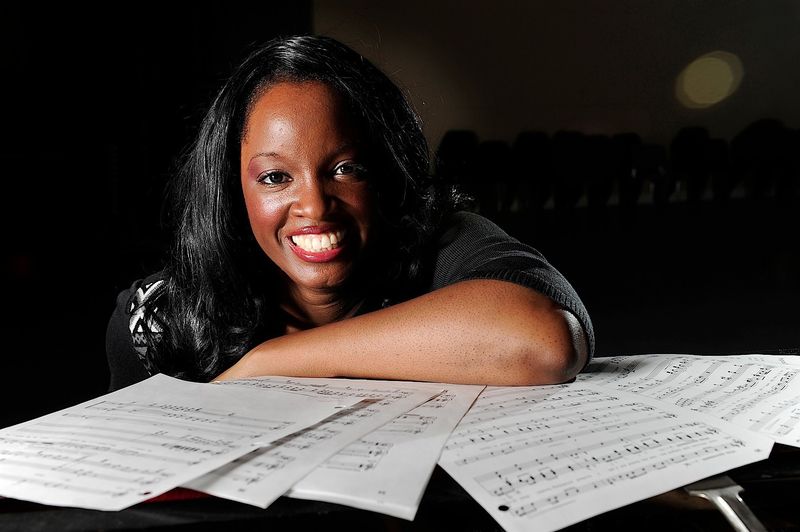 Ms. DuBose has received awards in the Gerda Lissner Foundation International Vocal Competition, The Lotte Lenya Foundation Kurt Weill Vocal Competition, and the American Traditions Competition. On the concert stage, she most notably appeared as a soloist in the world premiere performance, and the Sony Classical recording, of Wynton Marsalis’ All Rise with the Lincoln Center Jazz Orchestra and the New York Philharmonic. She is thankful for the opportunity to share her God-given talents and is grateful for the support of family and friends! Clinton Ingram, tenor, was born in Burgin, Kentucky and raised in Cincinnati, Ohio. He earned his Bachelor of Arts degree from Fisk University and his Master of Music degree from the Yale School of Music. He has appeared with The Metropolitan Opera, New York City Opera, Tulsa Opera, Calgary Opera, Pittsburgh Civic Light Opera, Teatro Real in Madrid, Spain and the Bregenz Festspiele in Bregenz, Austria. His operatic repertoire includes principal roles in Bizet’s Carmen, Verdi’s Aida, Donizetti’s Lucia di Lammermoor, Mascagni’s Cavalleria Rusticana, Puccini’s Madame Butterfly, Wagner’s The Flying Dutchman, Massenet’s Heriodiade, and Gershwin’s Porgy and Bess. He was featured as a principal in four operatic world premieres including Angel Levine by Elie Seigmeister at the 92nd Street Y in New York City, X by Anthony Davis at the American Theater Festival in Philadelphia and N.Y. City Opera, The Mummy by George Quincy at the Musical Theater Lab on 42nd Street, and Three Willies by Leroy Jenkins at The Kitchen Theater in New York City. Other premieres include Coincidents by Leroy Jenkins, Katrina- Voices of the Lost by Michael Sahl, and the cantata Martin Luther King (His Dream Lives On) by David Blake. Ingram’s career has taken him to such countries as Italy, Germany, Spain, Austria, Sweden, Holland, France, South Korea, Japan, Bermuda, Jamaica, Australia and New Zealand, and has included performing in St. Louis Woman at City Center in New York City with Vanessa Williams and Charles Dutton. 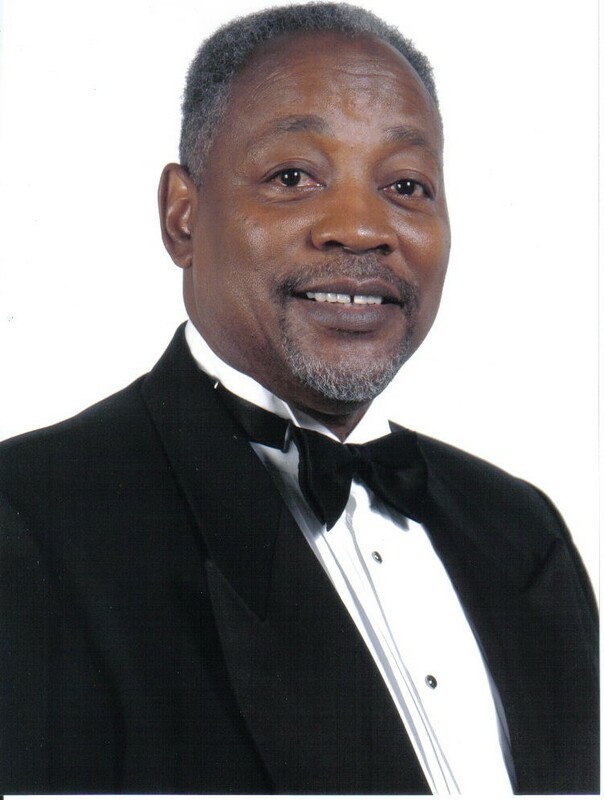 He has performed as tenor soloist in over forty different oratorios and cantatas and is frequently heard during the Christmas and Easter holiday seasons in Handel’s Messiah and DuBois’ The Seven Last Words of Christ. He has also been an active recitalist, church soloist, choral conductor, teacher, composer, and arranger. 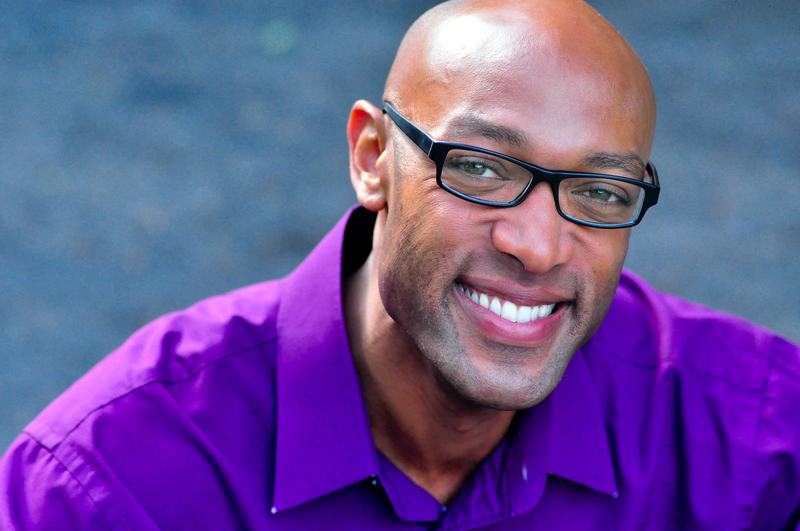 Damian Norfleet is a singing actor from Texas who now calls New York City home. Some of his past roles include Coalhouse in Ragtime, Joe in Showboat, Old Deuteronomy in Cats, Scar in The Festival of the Lion King, Ken in Smokey Joe’s Café, Curtis in Dreamgirls, Specialist in Tommy, Young Horseman/Nugget in Equus, King of France in Henry V, Duke of Grenada in Happy Hunting, Olin Britt in The Music Man, Paul in Kiss me, Kate (directed by Diane Paulus), Top in The Tenderland, Henry in Street Scene, Bob in The Old Maid and the Thief, Balthazar in Amahl and the Night Visitors, and led the national tour of In the Mood (a big band musical). 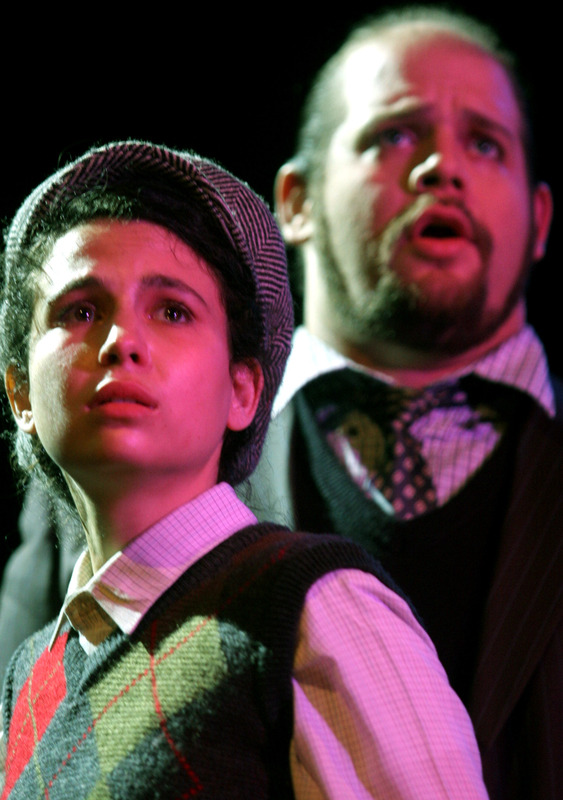 Damian played the role of Smith in the Drama Desk Award-nominated production of The Threepenny Opera, and was nominated for an IRNE Award for Best Actor for his performance in Ragtime. In addition to doing established works, Damian actively participates in workshops, including Yeast Nation (by the Tony-winning creators of Urinetown) at the Perseverance Theater, Makandal at Harlem Stage, Go West! (Village People musical), Casanova at AMAS Musical Theater, and multiple new shows with the Prospect Theater Company. Damian is an advocate for new American operas as well. 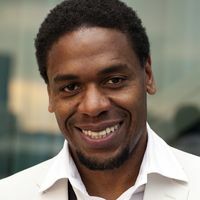 He recently played Frederick Douglass in the new opera Truth, and originated the role of John Tubman in Harriet Tubman: When I Crossed That Line to Freedom with American Opera Projects. 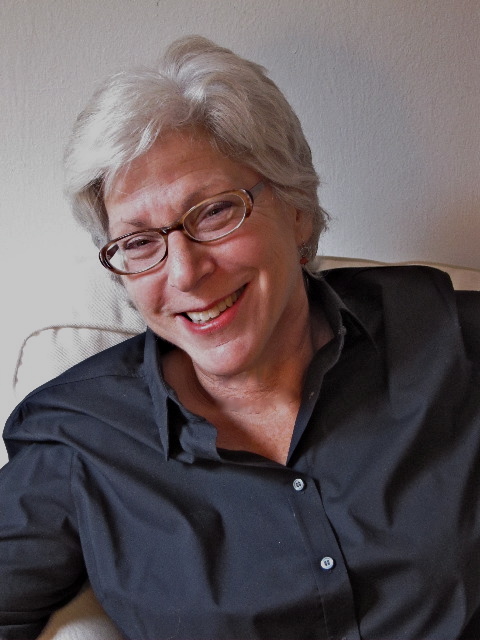 Stage director Beth Greenberg has focused her career on new American work and the challenges of redefining where, and how opera can be performed. Greenberg has been involved in all phases of new work, from libretto development and workshop readings to fully-staged premieres. Adding to her list of new American opera productions will be the professional World Premiere of Lori Laitman’s The Scarlet Letter for Opera Colorado in 2016. She recently directed the West coast premiere of Rorem’s Our Town which was praised as “a splendid production” by the San Francisco Chronicle. She also staged early workshops of Before Night Falls by Jorge Martin and directed the premiere of excerpts from Gordon Beeferman’s The Rat Land, a twice-featured work on City Opera’s VOX series. Pumped Fiction, the comic opera by MacArthur genius John Eaton, also saw its world premiere, in New York, in Greenberg hands. In 2014 she will direct the world premieres of The Red Silk Thread by Stella Sung and Ernest Hilbert, and the children’s opera The Three Feathers by Lori Laitman and Dana Gioia, NEA’s recent Chair. Terrance McKnight is the WQXR weekday evening host. He also hosts the Saturday evening program, All Ears with Terrance McKnight, a show about musical discovery, which was honored with an ASCAP Deems Taylor Radio Broadcast Award in 2010. McKnight’s musical experiences – from glee club soloist and accomplished pianist, to professor at Morehouse College, and finally as producer and host of several music programs for public radio – have consistently juxtaposed the European Classical tradition alongside American classic traditions – jazz, gospel, African American spirituals and other musical genres. McKnight was first heard in New York in 2008 when he joined the staff of WNYC. He moved to WQXR in October 2009. Previously he worked at Georgia Public Broadcasting, where he was creator, producer and host of Studio GPB, a program that introduced a wide array of musical artists through interviews, live studios sessions and commercial recordings. The Schomburg Center for Research in Black Culture, located in Harlem, New York, is a research unit of The New York Public Library system. It is recognized as one of the leading institutions focusing exclusively on African-American, African Diaspora, and African experiences. Begun with the collections of Arturo Alfonso Schomburg more than 85 years ago, the Schomburg has collected, preserved, and provided access to materials documenting black life- in America and worldwide. It has also promoted the study and interpretation of the history and culture of peoples of African descent. Today, the Schomburg continues to serve the community not just as a center and a library, but also as a space that encourages lifelong education and exploration. At the forefront of the contemporary opera movement for a quarter century, AOP (American Opera Projects) creates, develops and presents opera and music theatre projects collaborating with the young, rising, and established artists in the field. AOP has produced over 20 world premieres including most recently Lera Auerbach’s The Blind, a co-production with Lincoln Center Festival 2013. Other notable premieres include Kimper/Persons’ Patience & Sarah (1998), Stefan Weisman’s Darkling (2006), Lee Hoiby’s This is the Rill Speaking (2008), and Phil Kline’s Out Cold (2012) at BAM. AOP-developed projects with premieres with collaborating companies: Gregory Spears’ Paul’s Case at UrbanArias 2013, Kamran Ince’s Judgment of Midas at Milwaukee Opera Theatre 2013, Jack Perla’s Love/Hate at ODC Theater with San Francisco Opera, 2012, Stephen Schwartz’s Séance on a Wet Afternoon at New York City Opera, 2011, Tarik O’Regan’s Heart of Darkness at London’s Royal Opera House 2011, Jorge Martín’s Before Night Falls at Fort Worth Opera, 2010, Lee Hoiby’s This is the Rill Speaking at Opera Memphis 2013 and Purchase College 2008. Upcoming: AOP-commissioned The Wanton Sublime at Roulette (April 2014). We were all greatly anticipating the performances of our first arias. You could really feel it, the tension, this weird energy very similar to what one can sense when waiting with a bunch of musicians in a green room for a big concert to begin. 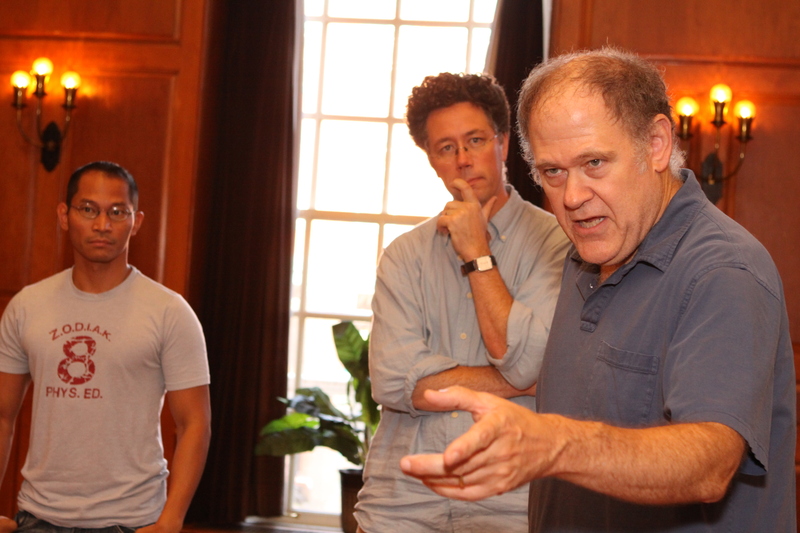 This was the exciting fifth session of American Opera Project’s Composers & the Voice program, held on November 4th. In this session, each of us had to give a speech, deliver an idea or a story, and sustain everyone’s engagement level. The rest of us, the audience, provided an engagement level barometer with our hands – hand is up = curious, hand falls down = not so much. From there we moved to role playing. We improvised a few scenes as a group and in pairs. In one of them we were all in a birthday party. On cue from Terry we had to separate and converge – basically to find a reason and a way to create a unique microcosm for a few short moments, then to converge back into our group cosmos. Of course we had to do this on the spot yet in a convincing, organic manner, all within the boundaries that we have set for ourselves in our birthday party story. The concept of the next scene was to give and take stage space. We split into two pairs. We agreed on a theme and the setting, and improvised two dialogues simultaneously. Each pair had to give or take the space on cue from Terry. I was so happy to reunite with my lost little brother Steven Osgood at an Italian restaurant. After the improv session we switched to our traditional round table discussion. Each composer was assigned a character to analyze. We shared our analyses of the the emotional transformation that each of our assigned characters have gone through in every musical number in Cosi fan tutte. This soon evolved to be an insightful discussion on the expression of emotions within the context of an opera. The limited time that we had allowed us to explore only the first few musical numbers. However, the lively debate already revealed some fascinating observations on Mozart’s musical expression, and the compositional tools that he uses to highlight emotional transformation. When time arrived to break for dinner we were already exhausted, but satisfied with all that we had accomplished. I think the improv sessions with Terry provide an invaluable insight into dramatic processes as we apply them ourselves. It is needless to say how enriching the round table discussions are – the rare intellectual exchange that we are so lucky to be part of. I always look forward to the third session of the C&V workshops, and Monday evening was not a disappointment. The composers, and composer/librettist team had provided the singers and music directors with a wide variety of truly interesting and eloquent pieces to prepare for this evening. The singers were solidly equipped to offer accurate and dynamic performances in conjunction with the 3 music director pianists. At this workshop, we finally began the collaboration that will last through the next 5 sessions between creators, performers, and our artistic director, Steve Osgood. At the first session in September, the 6 singers performed pieces from their repertoire that they felt really showed defining characteristics of their voices. It was a great way to start to get to know them not just as voice types but as performers. At the second session in October, the composers and composer/librettist team brought recordings of examples of their work to share with the group. The amount of diversity and expertise was very impressive. But, I think the really great part of the process begins when these people start to create pieces with these specific singers in mind. I’m always excited to get my first couple of assigned pieces handed to me at the end of the second session and to know that I’ll be performing the pieces for the group in just one month. Monday’s workshop started out with a photographer taking pictures of different groups and then the large group picture. It was a silly and fun way to start the evening. Then the performances began. Jeremy Gill‘s piece for tenor Dominic Armstrong was based on a Walt Whitman text. Charity Wicks was the pianist for this dramatic performance. Next, bass-baritone Matthew Burns and Mila Henry presented Andreia Pinto-Correia‘s atmospheric “Saladin” with text by Betty Shamieh. Gity Razaz wrote a lush setting of a Persian text for coloratura soprano Deborah Lifton which we heard with Charity at the piano. After a short break, Rachel Calloway and I performed Guy Barash‘s ironic and challenging aria “Straw to a Drowning Man” with a libretto by Nick Flynn. Composer Joseph Rubenstein and librettist Jason Kim wrote their engaging “4-line challenge” entitled “June”, which was presented by baritone Jorell Williams and Charity. Soprano Kristin Sampson and I ended the evening with the emotional “Gluttony’s Aria” by librettist Jeanette Simpson and composer Avner Finberg. After the initial performance of each piece, Steve Osgood asked useful questions of both singers and creators. He led discussion of elements which might alter or bring across the meaning of various passages more clearly. The singers are always willing to demonstrate what these possible changes might actually sound like, which is interesting for everyone. It was a great evening. I’m so pleased to be a part of this group and this amazing process. Commissioned and developed by AOP, Lost Childhood will be performed in concert at Strathmore Music Center in North Bethesda, MD on Saturday, November 9, 2013 at 8:00 PM. In his profile of the opera for The Baltimore Sun, Fine Arts critic Tim Smith marks the development of the opera from its historical inspiration to is upcoming concert for the 75th anniversary of Kristallnacht (“The Night of Broken Glass”), on November 9-10, 1938, when a series of violent anti-Jewish pogroms occurred throughout Germany and elsewhere. “… The opera focuses on a Jewish psychiatrist who eluded death as a boy in Poland during the war, and a German colleague born into a family with Nazi sympathies. The opera has been a long time in the making. Azrael and Hamer started on it around 1996. Various workshops were held over the years to develop the piece, most prominently through the organization that commissioned it, American Opera Projects in New York, as well as at the International Vocal Arts Institute in Tel Aviv. The opera is in two acts with music by Janice Hamer and a libretto by Mary Azrael, and taken from the memoir of the same name by Holocaust survivor Yehuda Nir and Nir’s conversations with Gottfried Wagner (Wagner’s great-grandson). You are currently browsing the Have a Voice blog archives for November, 2013.